SUCCESS IS A SYSTEM, NOT A SECRET! For many of us, success can feel unattainable, as though others were given a secret that the rest of us are missing. But author May McCarthy says that success is a system, not a secret. 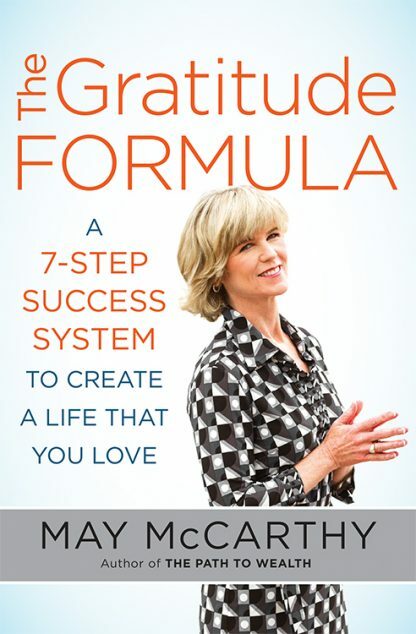 While her method is built upon starting each day with a grateful heart, the details of her 7-step practice are unlike anything you�ve ever seen before, and McCarthy teaches that implementing them on a daily basis is the key to creating a life that you love. McCarthy�s experience as a business strategist and successful entrepreneur has given her the tools to create success in her life and for her clients, and now she shares those tools in this book.